Real Madrid talisman Cristiano Ronaldo has been nursing an ankle injury ahead of the Champions League final, but it appears he will be fit and ready to take on Liverpool in next weekend's final in Kiev. 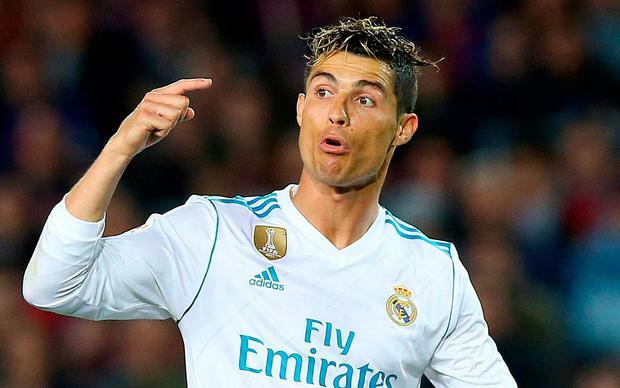 Ronaldo has not played since picking up the injury against Barcelona two weeks ago, sparking fears that he would not be fit to take centre-stage as Real Madrid look to win a third successive Champions League final. Yet Real Madrid coach Zinezine Zidane has issues a positive injury update on this season's Champions League top scorer, who looks set to prove his fitness in the final round of La Liga matches against Villarreal. “Cristiano is at 120 per cent,” said Zidane on Friday. “He trained normally all week and he is ready to play. Zidane is urging his players to give their all in their final domestic game of the season, as he suggests that would be the best way to prepare for the clash with Liverpool. “The most important final to me is this one, not the previous ones. We have to give everything,” he added. “I'm very happy to have everyone healthy. I don't like to have injuries. I want everyone available so we can work.